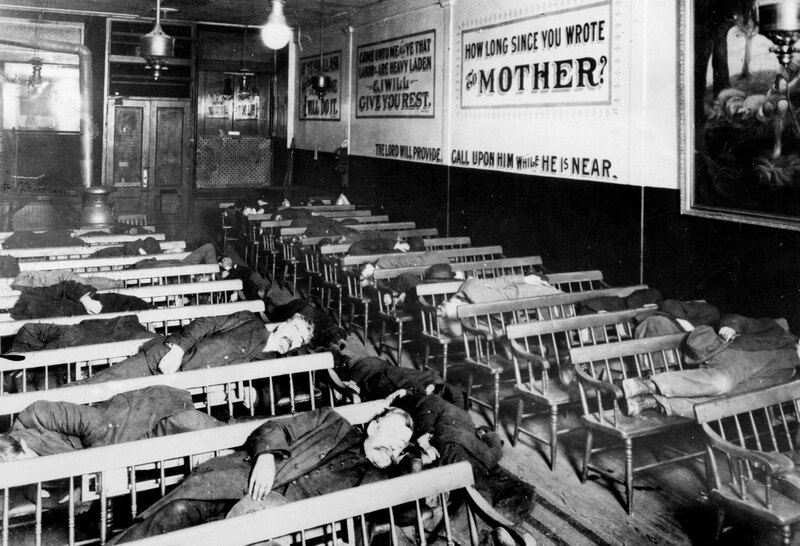 During The Great Depression, banks failed, businesses closed, city streets were desolates, families lost their homes, and unemployment in the rose to nearly 25%. 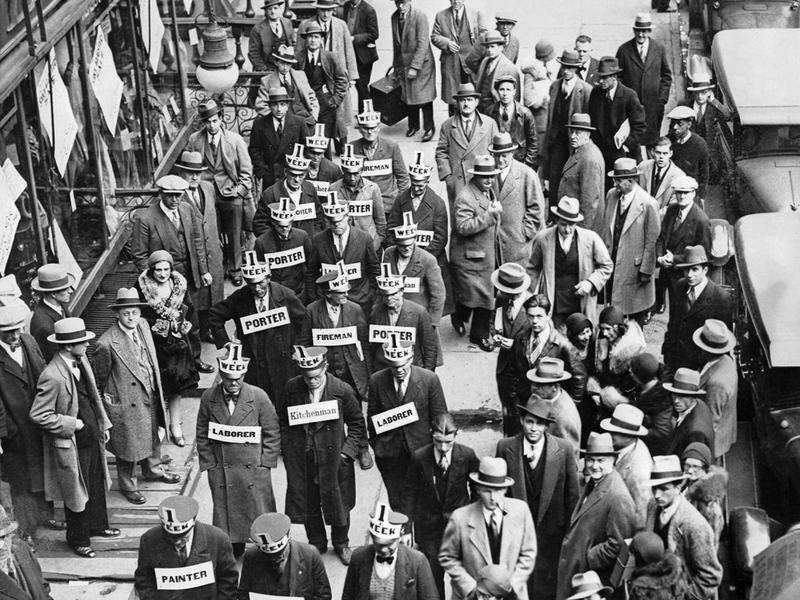 The images below of men and women desperately looking for jobs to feed their families tell the grim story of a time we wish to never happen again. 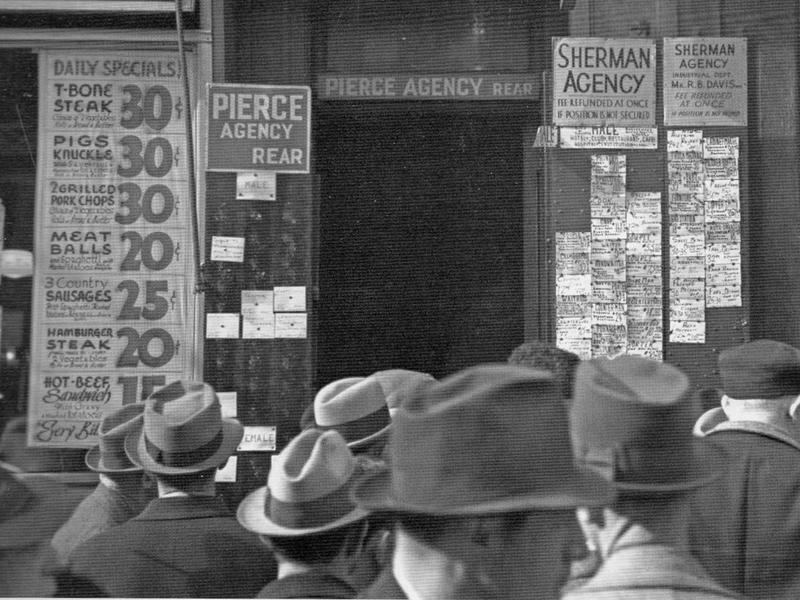 The culmination of many years of economic instability happened when the stock market crash on "Black Tuesday," October 29, 1929. 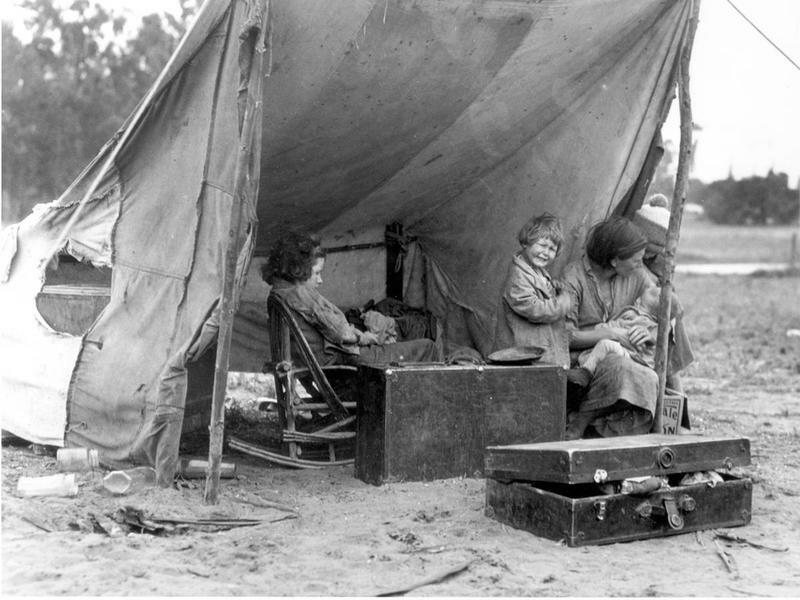 In the middle part of the US, when the depression occurred during the drought season, farmers quickly lost their lands and many became migrant workers. They travel around the country, hoping to find work for all members of the family in exchange for a meal or a place to sleep. 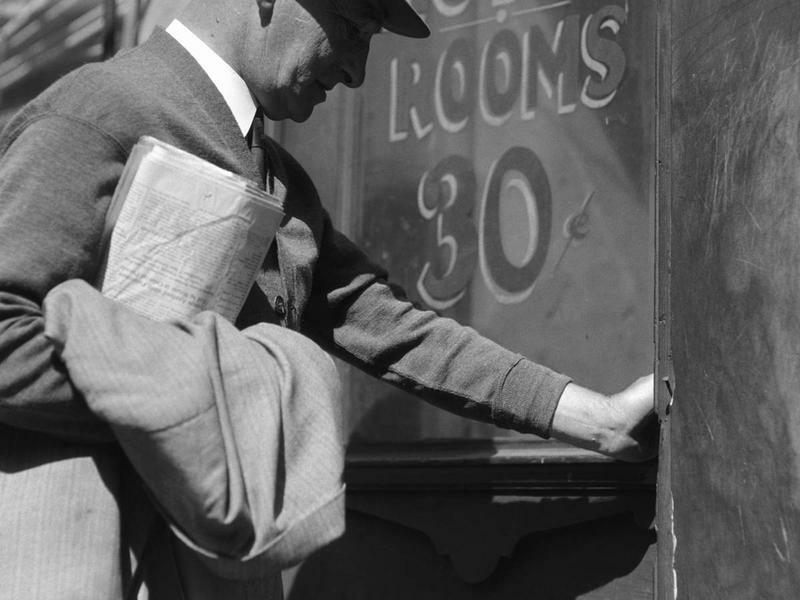 Husbands and fathers travel great distances from their homes in search of any work that they could find. 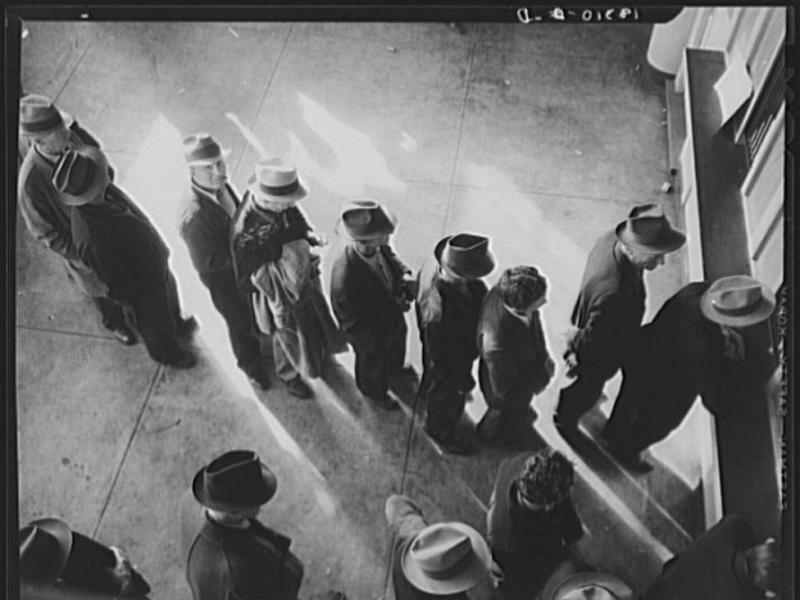 Architects, bankers, engineers and educators suddenly found themselves queueing in long unemployment lines, competing for menial, basic jobs with pay that was barely enough to put food on their tables. 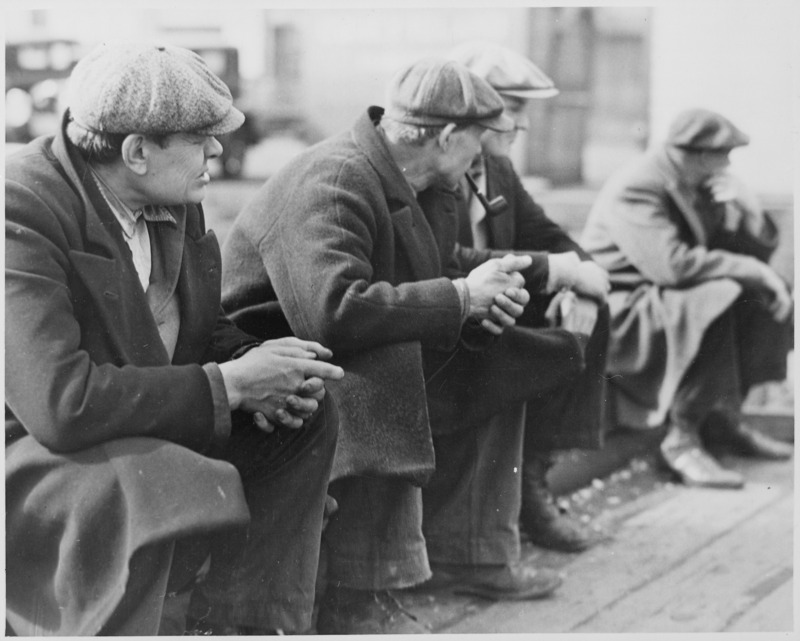 Men who had defined themselves by taking care of their families, being the breadwinner, struggled with the emotional depression that came with the economic depression. 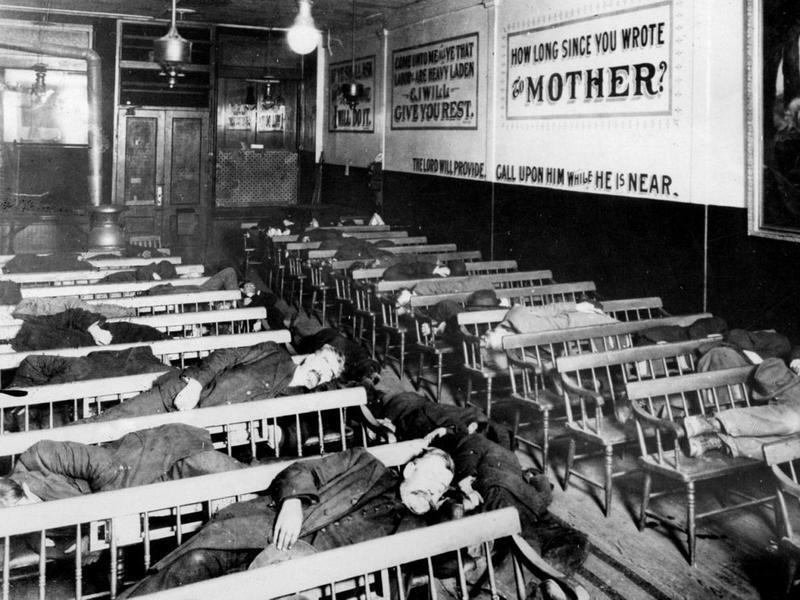 As men traveled farther and farther away from home looking for jobs, they are forced to find lodging in public housing or shelters, waking up to begin job hunting again the next morning. 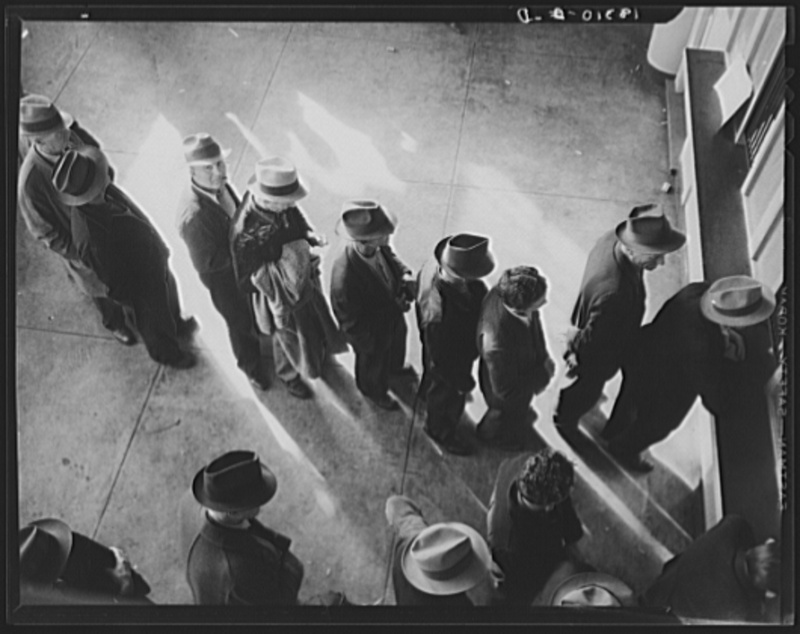 Husbands and fathers who had previously earned enough money to feed and clothe their families were forced to stand in bread lines to receive free food so their families would not starve. 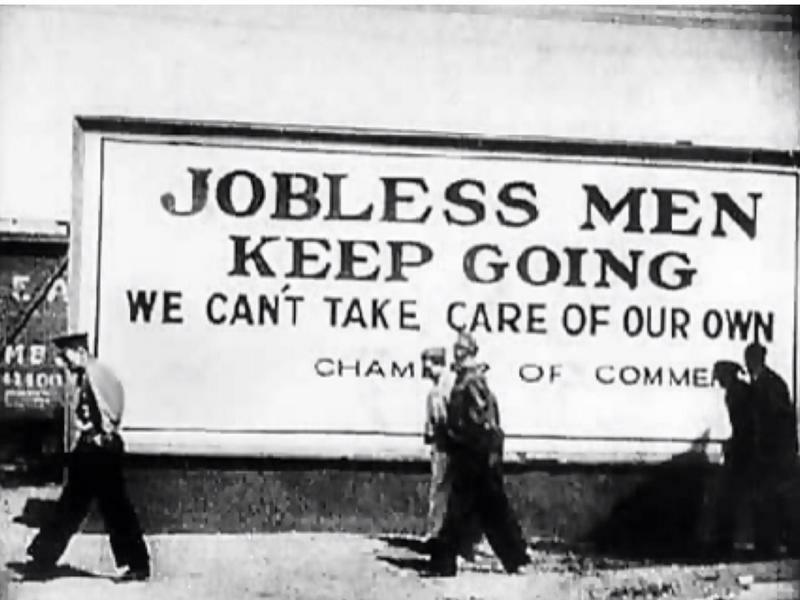 In the early part of the Depression, President H. Hoover maintained that "it was up to state and local governments to pay for the creation of jobs for the people of America." He also believe local governments and private charities should be responsible providing aid to families out of work. Experts agree that this greatly contributed to the depth of the economic downturn. 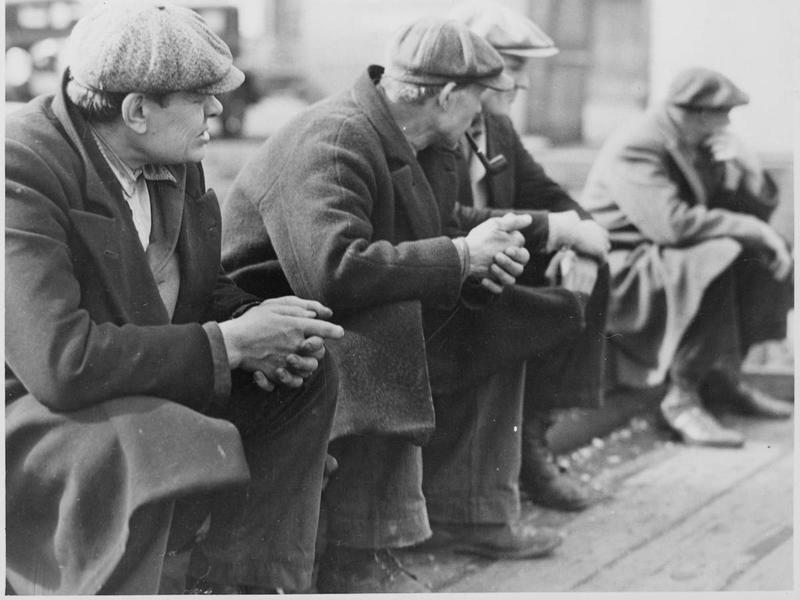 FDR campaigned in the 1932 election promising he would turn his attention to “the forgotten man at the bottom of the economic pyramid.” He won by a landslide and took office on March 4, 1933. In his inaugural speech, he spoke the legendary phrase that “the only thing we have to fear is fear itself.” At the time of his speech, nearly 15 million Americans were without work. 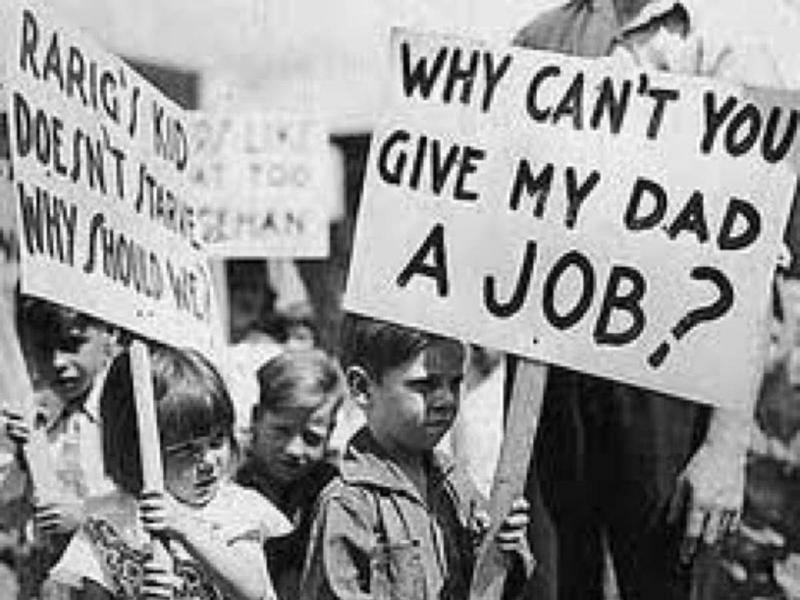 FDR implemented the New Deal, using different programs to stimulate the economy and create jobs. 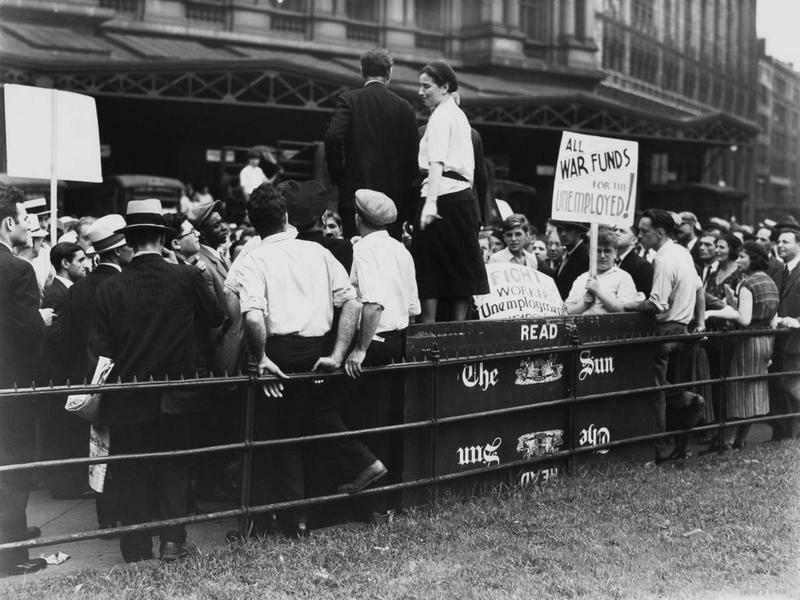 He mandated a five-day "bank holiday" which, along with acts from Congress, helped stabilize the banking industry. 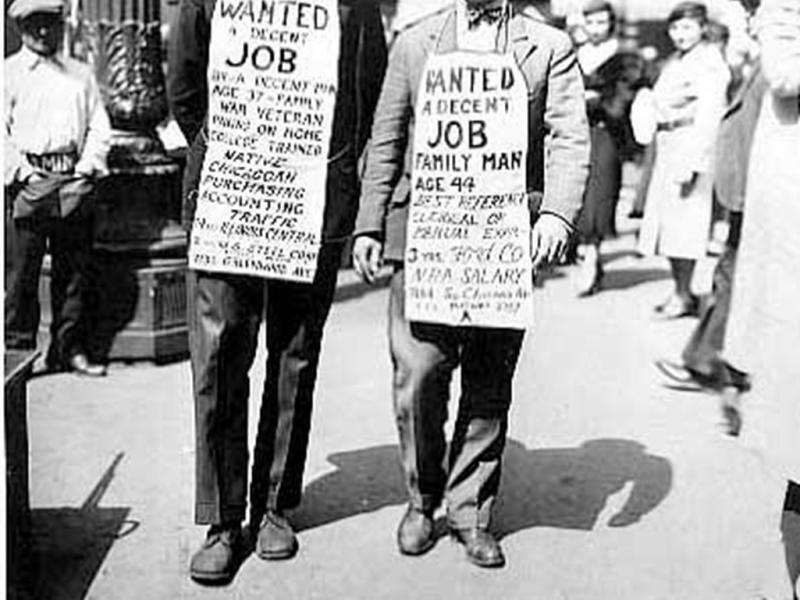 The issue of the high rate of unemployment was next on FDR's list. 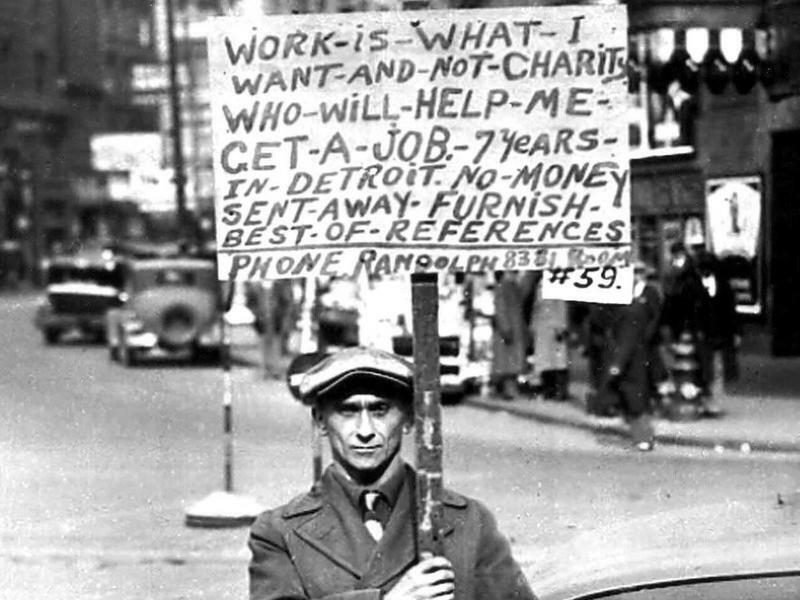 The New Deal created programs offering work relief to those who couldn't find jobs. 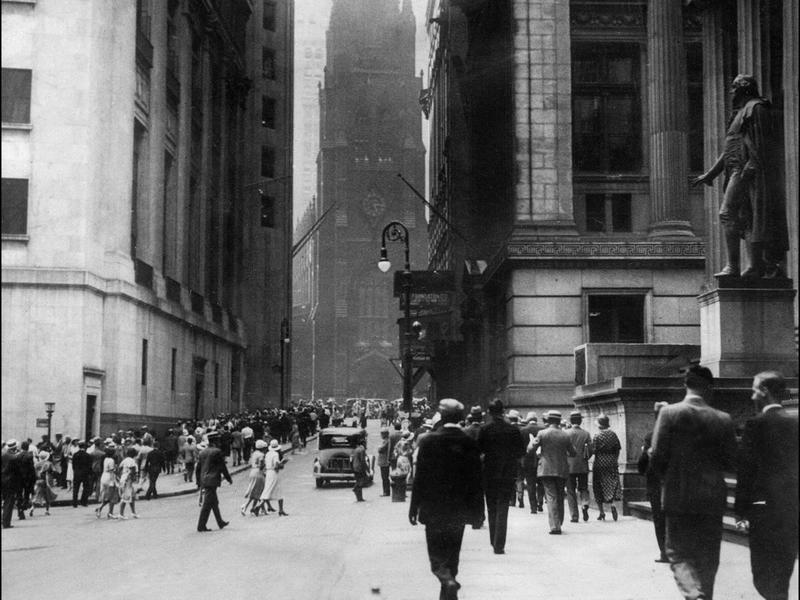 By 1936, Americans were slowly returning back to work. 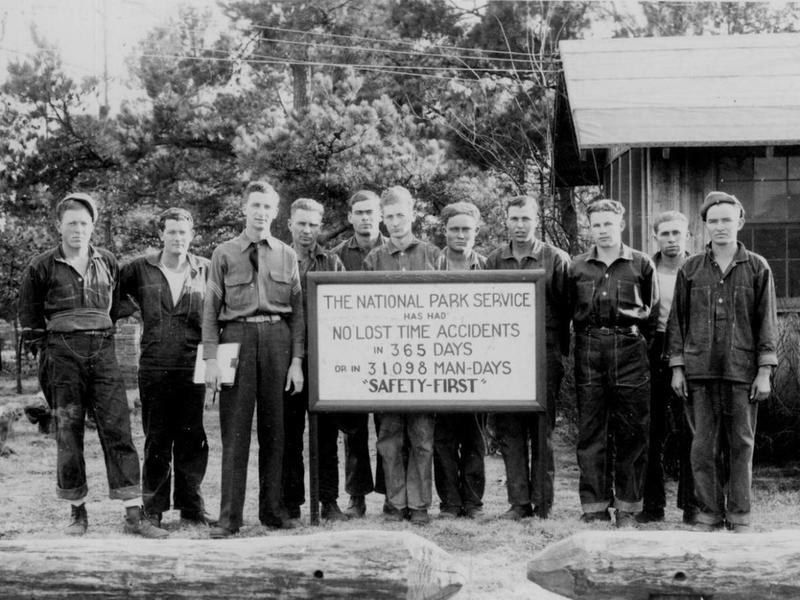 One of the programs that FDR created in 1933 was the Civilian Conservation Corps, a program for unmarried young men aged 17 - 28 who needed employment during the Great Depression. 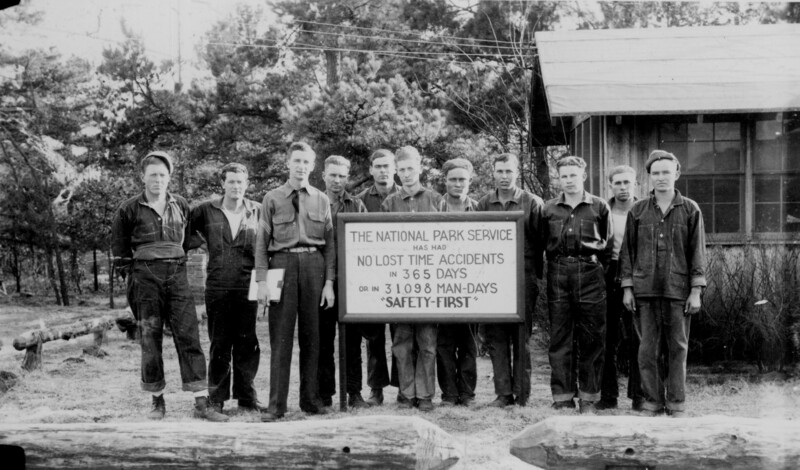 Over the nine years it was in place, the CCC employed over 3 million young men, providing them with shelter, clothing, and food and paying them $30 per month, requiring that they send $25 of their wage back to their families to help at home. 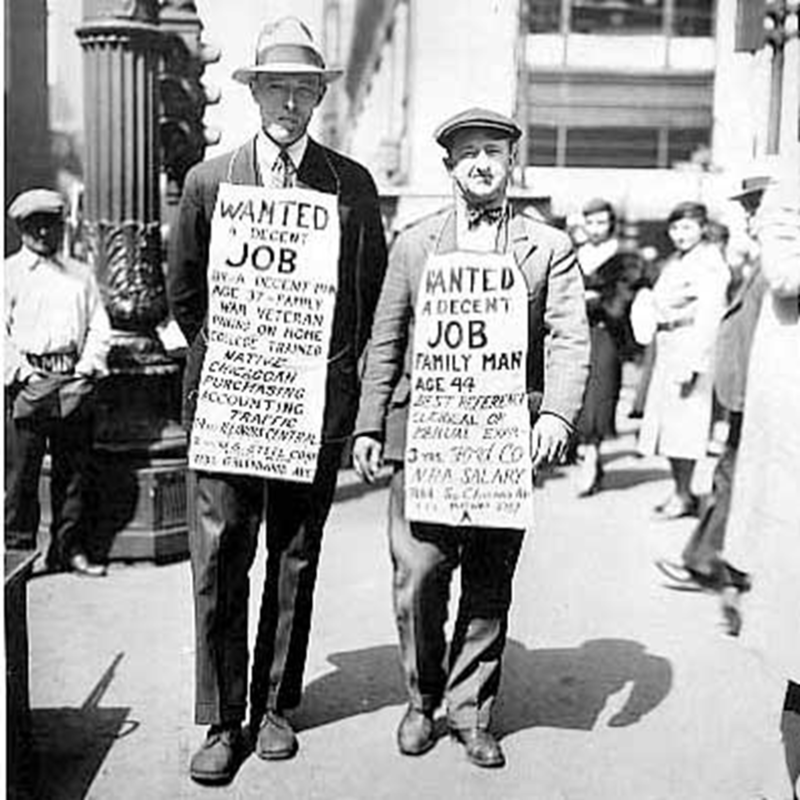 While there's no consensus about the exact end of the Great Depression among economic historians, the unemployment rate remained high for the rest of the 1930s, even as the banking crisis eased up. 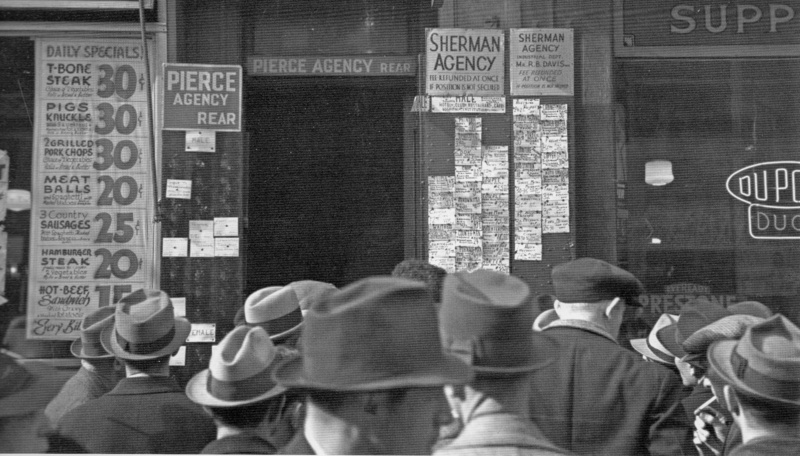 One major event, however, shifted the focus of the country away from the Great Depression. 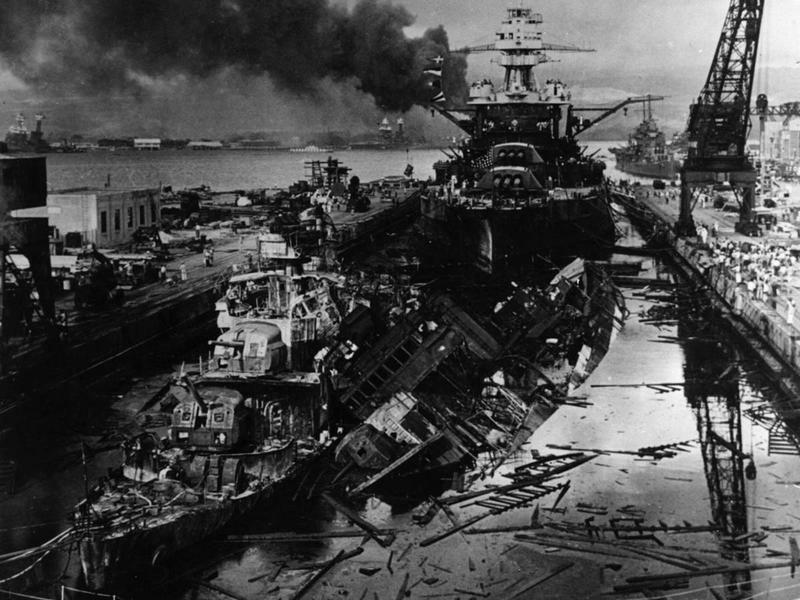 After the Japanese attack on Pearl Harbor on December 7, 1941, millions of men and women would join the work force as the US entered World War II.